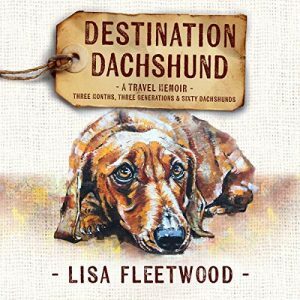 Audiobookworm Promotions is organizing an audiobook blog tour for Destination Dachshund, a Travel Memoir from Author Lisa Fleetwood. The tour will run from Jan. 2nd to 8th and will have a maximum of 10 stops. Signups end on Dec. 26th. Destination Dachshund is narrated by Stephanie Macfie and is 6 hours and 59 minutes in length. Reviewers will receive complementary digital copies of the audiobook via Author's Direct. Review copies available to US nd Canada reviewers only. Review copies will be distributed by Dec. 5th. Reviews must be of at least 3.5 stars. With teenage children and in-laws in tow, the Fleetwood family embarks on their three-month family vacation just days after the tragic loss of their beloved dachshund, Coco. When two miniature dachshunds in smart winter coats are spotted in Moscow, it’s game on! A riotous, often hilarious dachshund-spotting competition for the lovable long-bodied dog ensues across 15 countries. Filled with love, laughter, and sadness at times, Destination Dachshund offers a unique twist on the travel memoir with remembrance for those who have been loved and lost, at the heart of one family’s extraordinary adventure through Turkey, Russia, Estonia, Latvia, Lithuania, Poland, Hungary, Czech Republic, Germany, France, the UK, and the US. Through the wonder of travel, this remarkable travelogue explores the bond of extended family, the abiding love we have for our pets, and the grieving for loved ones, both human and hound. Winner: Gold Medal for "Nonfiction - Travel" in the Readers’ Favorite International Book Award contest. 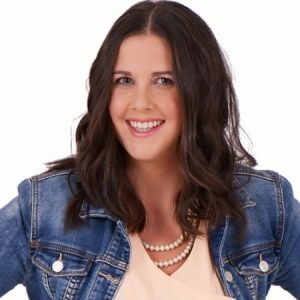 Lisa Fleetwood is a writer, blogger, book reviewer, and keen traveller. 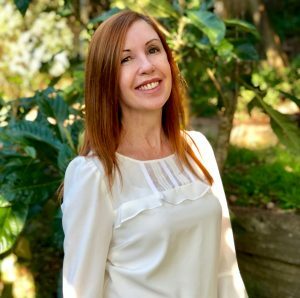 A decades long love of reading, books, and writing led her to following her dream of becoming an author. Her first book, Destination Dachshund: Three Months, Three Generations & Sixty Dachshunds evolved from a travel blog Lisa wrote while seeing the world with her family. She also writes speculative fiction, romance, and children's stories. Lisa joins in on the discussion of books, travel, and dogs on her literary blog Welcome to My Library. She lives in Sydney, Australia with her husband, two teenage children and three cheeky dachshunds. Destination Dachshund is narrated by Stephanie Macfie, a voice artist and radio broadcaster for Southern Cross Austereo in Tasmania, Australia. Dec. 5th: Review copies are distributed. Dec. 12th: Interview question deadline. Dec. 26th: Media packets are distributed via email.